Join us for the Memorial Day Parade! 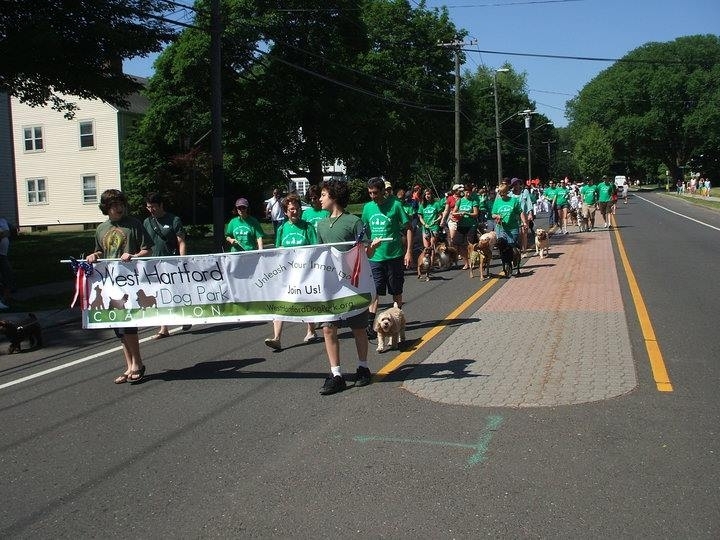 Show your support for building a dog park in West Hartford by “marching” with us in the Memorial Day Parade. A big group will show big support to the public and the political leaders of our town. Parade starts at 10 AM. Meet by 9:45 on Woodrow St, between Farmington Ave and Ellsworth, probably closer to Ellsworth. T-shirts will be for sale! Our next event is the Pooch Plunge! Come see us at Celebrate West Hartford! Questions? Interested in volunteering? Great! Drop us an email!